Slamming the Naveen Patnaik- led BJD government in the state over mining and chitfund scams, BJP national president Amit Shah said on Sunday those involved in corrupt practices will be put behind bars if his party comes to power in Odisha. 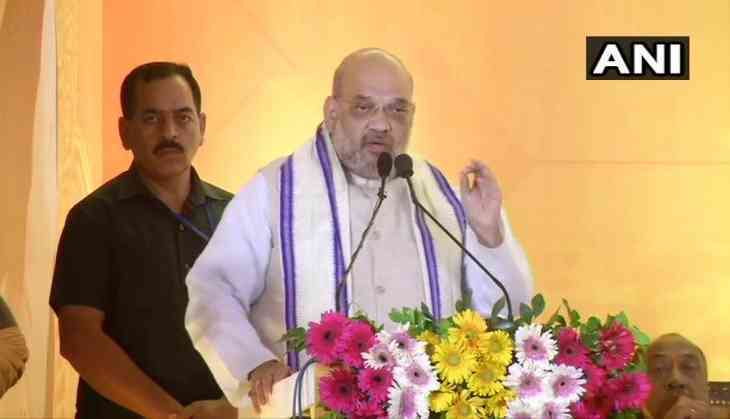 Shah, after releasing the party's manifesto here, said the BJP seeks to build a "New Odisha" by breaking the shackles of the Patnaik-led government, which ruled the state for 19 years. "While corruption was rampant in allocation of mines, chit fund scam flourished because of the protection provided to those involved in corrupt practices. "A large number of innocent and poor investors were taken for a ride. The BJP, after coming to power, will put them behind bars," he asserted. Shah also alleged that the powers of the elected representatives have been handed over to the bureaucrats, sidelining the senior leaders of the ruling BJD. "Bureaucrats are running show in Odisha, they have no understanding of people's aspirations," he alleged. Exuding confidence that the BJP will come to power both in Odisha and at the Centre, he said the party manifesto for the state focussed on the welfare and empowerment of farmers, women, youth and the weaker sections of society.